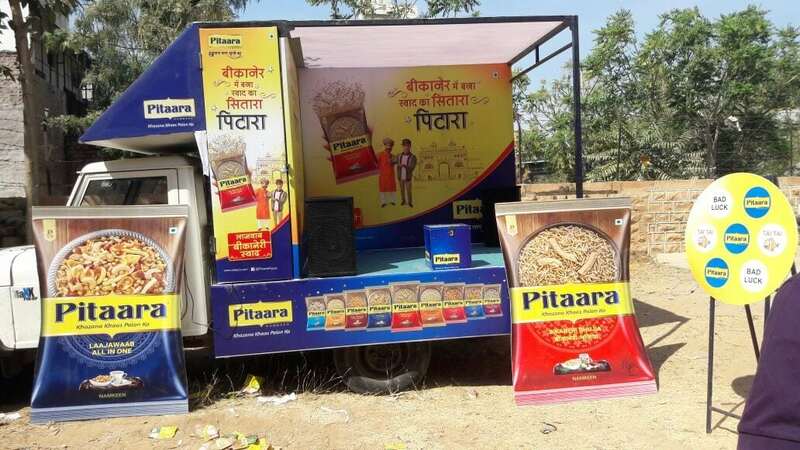 “Pitaara” a namkeen by Desai Brothers decided to conduct sampling and sales activity in Rajasthan – Jodhpur and Jaipur. 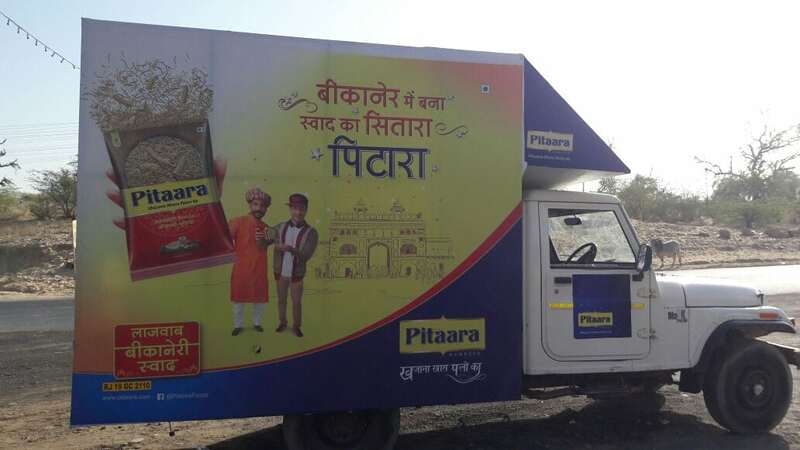 A branded van traveled to different villages in Rajasthan along with our promoters, supervisor and mimicry artist. 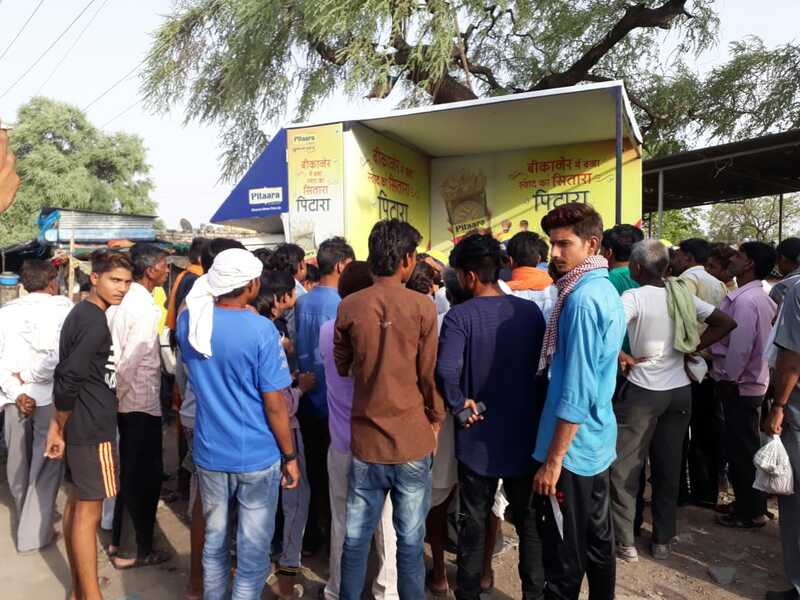 Our trained team sampled the namkeen amongst the prospects in the area and sold “Pitaara” to the target group who wished to purchase the namkeen. 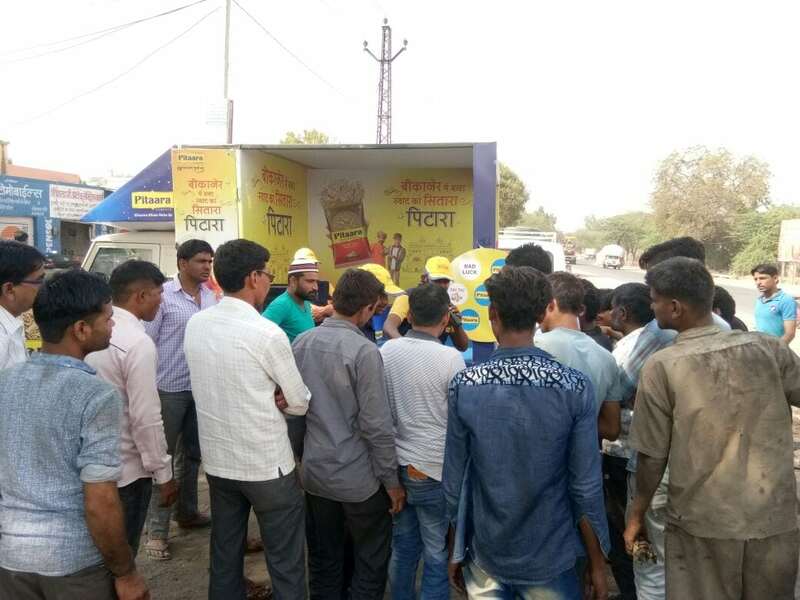 A mimicry artist interacted and engaged with the audience through different games like ‘Pitaara Ka Sitara’, lucky draw and similar. 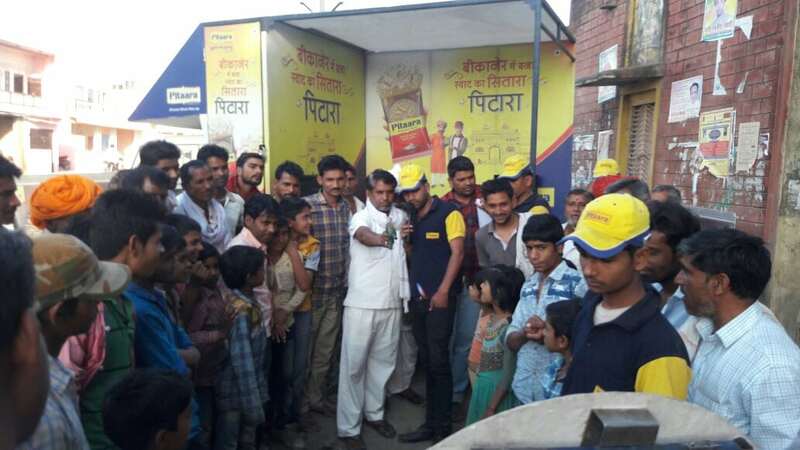 Our efforts helped them create awareness about the brand and its product leading to sales.